ONE OWNER, NO ACCIDENTS, CLEAN CARFAX! 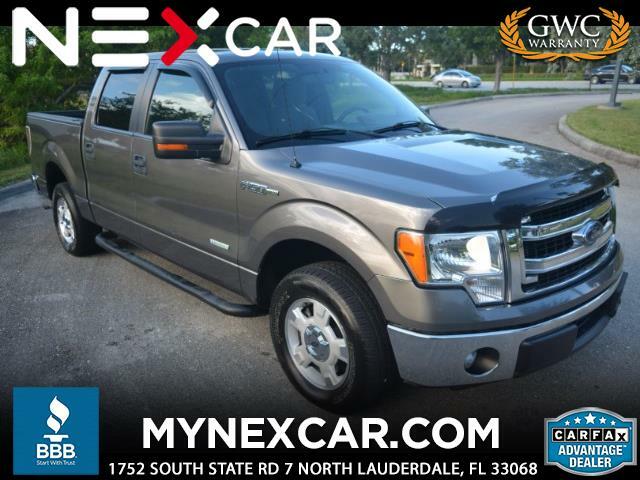 MINT CONDITION 2014 FORD F-150 XLT SUPERCREW 6.5FT BED AUTOMATIC TRUCK! GRAY ON GRAY. FEATURES, 3.5L TURBO ECOBOOST V6 302 HP ENGINE, SIRIUS/XM SATELLITE RADIO WITH 3 MONTHS FREE SERVICE, AM/FM, SEEK-SCAN RADIO, CRUISE CONTROL, STEERING WHEEL CONTROLS, DRIVER AND PASSENGER LUMBAR SUPPORT, PREMIUM CLOTH SEAT TRIM, UPGRADED ALUMINUM WHEELS, POWER MIRRORS/LOCKS/WINDOWS/SEATS, KEYLESS ENTRY, AUTOMATIC TRANSMISSION WITH OVERDRIVE, TOW PACKAGE AND MORE!